These are ideal for restoring concrete surfaces in need of a face lift or brand new concrete pours. Our decorative concrete line also includes mixable color packs, skim coat, powder release, sealers and other fine tools. The result: beautiful, durable and affordable decorative finished concrete surfaces that resemble the appearance of natural stone and/or wood. Many of the concrete stamp designs come in a series of 3 unique patterns (variations of design). These 3-pattern are available in both the solid stamps (used for the center/field areas) and flex mats (used for details and edges). The 3 patterns are color coded (typically blue, black and red). Click HERE to see our entire product list of WOOD Pattern Concrete Stamps. Use Wood Plank concrete stamp tools create the texture and lines of real wood plank floors -- but without the upkeep and maintenance issues of wood. We carry a full selection of the finest concrete wood stamps and textures. Our Wood pattern concrete tools include 12" Large Wood Planks, 3-1/2" Hardwood Wood planks, 6" Planks, flexible and rigid stamps, touchup mats and more. Don't forget to order stain and an antiquing release to obtain that genuine "old wood" look with the concrete. 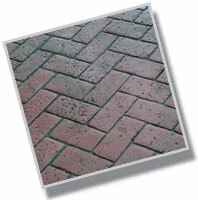 Click HERE to see our entire product list of BRICK Pattern Concrete Stamps. 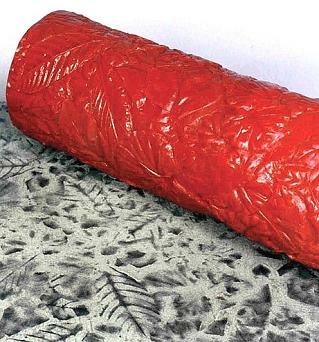 Click HERE to see our entire product list of STONE Pattern Concrete Stamps. 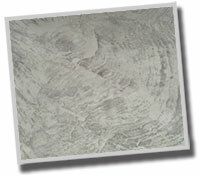 Click HERE to see our entire product list of SLATE Pattern Concrete Stamps. Slate has become a popular stone texture for modern homes and retailers. Create a slate look -- without the headaches of genuine slate - with concrete stamps, skins, texture mats, roller sleeves and stencils. Click HERE to see our entire product list of FLAGSTONE stamping tools. 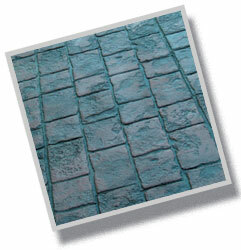 Cobblestone is a gorgeous look for driveways and garden paths. 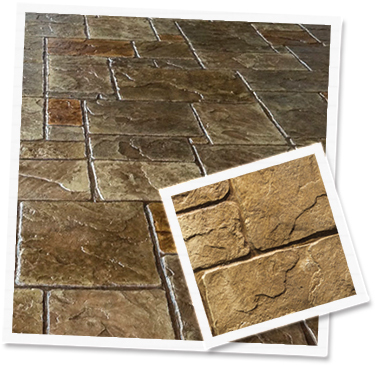 Get the look of cobblestone with textured concrete tools, including stamps, texture mats, roller sleeves and stencils. Don't forget to use color stains and antique stains to create that Old World look. 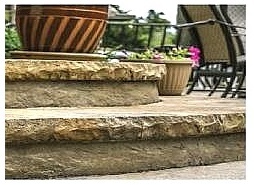 We have a variety of awesome concrete step and wall forms. Cut stone, bull nose, rounded corners and more. Textured wall forms and edge liners as well. We have all the color stains to create that natural chiseled stone or old world look. 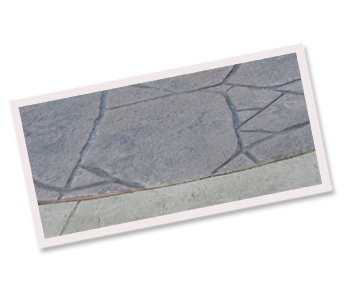 Stamps and stencils are popular decorative concrete tools to create a gorgeous patio. 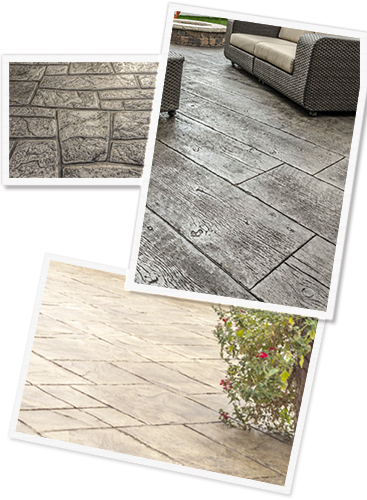 Popular stamping patterns for patios include cobblestone and herringbone. Or for a more modern feel, try slate and bluestone. We have a full selection of color options for decorative concrete projects. Don't forget to use a primer and sealer to maintain your concrete colors. Decorative Concrete Color Hardeners: Use the shake-on powder for coloring, hardening, and densifying the surface of a new concrete project. Antique Releases for Concrete Stamping Projects: Release agents prevent the urethane mats and texture rollers from sticking to the concrete. The antiquing agent creates a striking secondary coloring effect to the textured surface. Popular Wood Plank Colors for Concrete: See our popular shades for creating a genuine look and feel of wood planks on your patio or residential floor. When using the integral coloring system, the first step is to put the colorant into the truck. We recommend using a 4-inch slump. When adding the Uni-Mix®, make sure you have brought the load to the top of the truck. Simply tear off the the top of the bag, and throw in the entire bag, including the packaging. This saves a lot of mess, and the bag disintegrates completely. Mix for 110 revolutions. The initial leveling off of the concrete is called striking off, and is shown here using a straight 2x4. The process known as "jitterbugging" helps bring some of the cream to the surface, allowing smoother finishing and stamping. "Bullfloating" is the next step. This closes the surface, bringing cream to the surface while flattening and smoothing it. It uses a long-handled magnesium float. The Fresno is the final finishing before release is applied. It uses a long-handled trowel, which is made of steel. Note: The use of the fresno should be avoided if freeze thaw is an issue. Instead, the final finish should be performed with a wood or magnesium bullfloat. As you can see, the release is spread evenly over the entire slab of concrete by literally throwing it. The release agent is used to prevent bonding between the stamping tools and the concrete. It also adds depth and texture to the concrete. The Largestone Fan pattern is being used here, and as you can see, laying the stamps starts on one side of the job, and works its way over to the other side. This is a continuation of the laying process. To help imprint the stamps, we use a 10" x10" cast iron tamper with a strong wood handle. On the right, you'll notice that flexible mats are being used along the edges to extend the pattern fully. After 1-2 days, or when concrete has cured sufficiently, it should be pressure washed to remove excess release powder. After the concrete has dried thoroughly, it should be sealed using our non-yellowing acrylic sealer. There are a number of ways to incorporate decorative concrete into your projects. Below are a few how-to ideas. To finish off the edges of the pattern or up against a wall, our stamps come with a corresponding "Flex" mat stamp. After the concrete is poured, a release agent often colored if not directly mixed into the concrete) is shaken and/or troweled on. The stamps are laid and tamped down to create an impression. Chisels and rollers may be used to clean grout lines between stamps and to finish edges where the stamping mats cannot reach. Finally a sealer is applied. The end result is a durable and beautiful concrete surface. Concrete overlays are coatings applied over existing concrete then stamped with the desired pattern to rejuvenate the look of existing concrete surfaces. Backer Rod (Use in wider joints before sealing). NP1 (General purpose exterior sealant. For sealing roof penetrations, deck joints, parapet walls, etc. Pre-tinted in 12 standard colors.